Pozvánka na přednášku Grahama J. Hilla | Geofyzikální ústav Akademie věd ČR, v.v.i. Zveme vás na přednášku našeho nového kolegy, Grahama J. Hilla, s názvem Probing magma reservoirs in time and space, která se uskuteční ve čtvrtek 6. prosince 2018 od 15 hodin v přednáškovém sále Geofyzikálního ústavu AV ČR. Přednáška proběhne v anglickém jazyce. Graham’s research focus is electromagnetic theory and practice in geophysics; the relationship of resistivity structure to physico-chemical conditions of the Earth, specifically understanding the role of geo-fluids in global tectonism, magmatic and geothermal systems, and ore deposits. 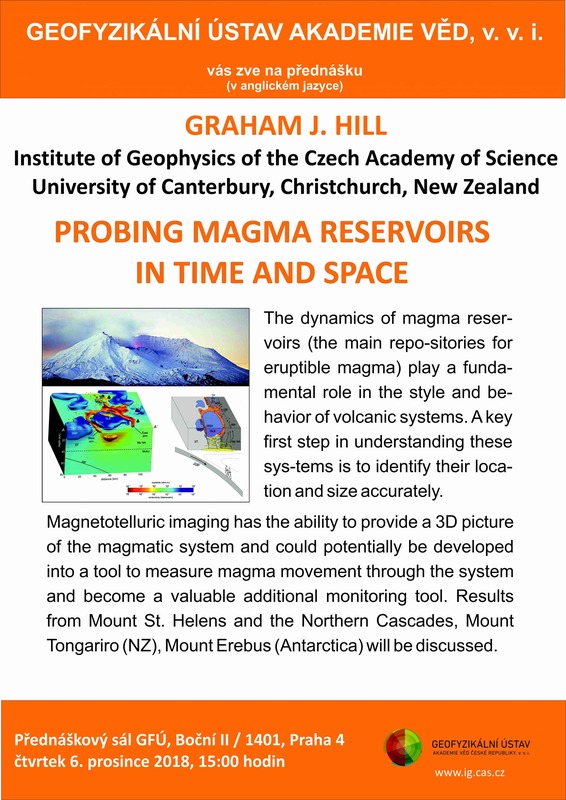 Graham Hill spearheaded the application of 3D magnetotelluric studies to understand magmatic systems within a tectonic framework, which has since become a major research focus of the magnetotelluric community. 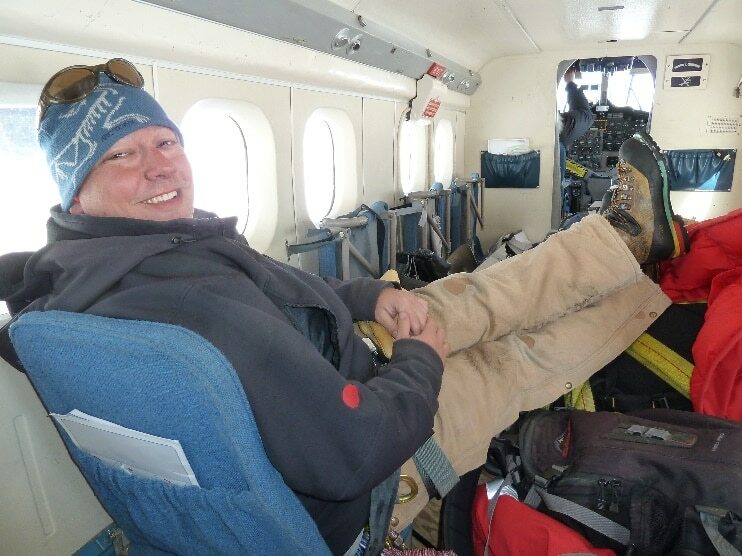 Graham and co-workers in the US pioneered large scale collection of high-fidelity magnetotelluric data over polar ice sheets, conducting several campaigns in Antarctica revealing controls on orogenic uplift, thermal and hydration state of the deep crust and upper mantle, and volcanogenic transport processes. Graham is an awardee of the New Zealand Geophysics Prize, and Antarctic Science Medal. At the Institute of Geophysics Graham will continue his magnetotelluric research, in interaction with researchers from various fields within the institute and abroad; the institute has recently proposed him as a candidate for the Lumina quaeruntur bonus scheme of the Czech Academy of Sciences. Wannamaker, P.E. ; Hill, G.; Stodt, J.; Maris, V.; Ogawa, Y.; Selway, K.; Boren, G.; Bertrand, E.; Uhlmann, D.; Ayling, B.; Green, A.M.; and Feucht, D. 2017. Uplift of the Central Transantarctic Mountains: Nature Commun., 8, DOI: 10.1038/ s41467-017-01577-2, 11 pp.